When Head Coach Dana Taylor arrived in Laredo on April 28th, he immediately needed to hit the ground running to prepare National Premier Soccer League (NPSL) expansion team Laredo Heat for their first preseason match a week later against United Soccer League’s (USL) Rio Grande Valley FC. The challenge was further compounded by the fact that only 60% of his college-based roster had arrived in town. Therefore, it would have been understandable if the team started slowly as players trickled in over the next few weeks. Instead, ten undefeated weeks later the Heat enter the NPSL playoffs as Lone Star Conference Champions and the Number One ranked team in the 98-team National Premier Soccer League (NPSL) Power Rankings. A perfect 10-0 record, combined with a plus-33 goal differential, clearly demonstrates that the Heat have overcome whatever obstacles existed at the beginning and are still in the process of creating what could be a special season. On some levels the superb performance should not have been unexpected. 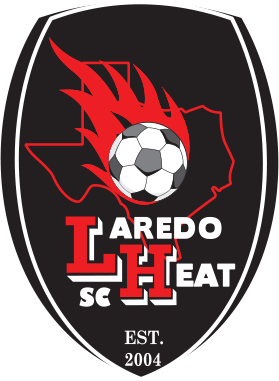 Laredo Heat are arguably the most successful high-level amateur team in Texas Soccer history. A track record of multiple championship game appearances (and one title) in the Premier Development League (PDL) seemingly only came to an end when the limited number of remaining Texas teams in the PDL forced the Heat to suspend operations after the 2015 season. Two years later Laredo Heat are back, this time in the NPSL, and don’t seem to have missed a beat. Texas Soccer Journal had the chance to speak with Dana Taylor this weekend to discuss his background, how he ended up in Laredo and the challenges the Heat will face in the upcoming playoffs. Coach Dana Taylor’s long and varied soccer coaching career prepared him well to assist the restart of Laredo Heat. Taylor grew up in Rhode Island and began his coaching career at 16 years old when he secured an entry level coaching license and worked with a local youth club. After graduation from hometown Barrington College, Taylor began his coaching career with a youth club in Colorado and also served as an assistant coach at Colorado College. From there he moved to Nebraska to serve as State Director of Coaching, before returning to the college ranks as an assistant at Creighton University in Omaha. He then left to take his first college head coaching job at Oregon State University, and after 10 highly successful years at the helm there, decided to change gears in 2009 and head to California State University-Stanislaus to accept that head coaching position, where he remains today. The move to California also allowed him to take another step forward in the profession when he joined the technical staff at MLS’s San Jose Earthquakes, where he was given the task of leading the clubs U23 side, and later, take charge of their partnership with PDL’s Burlingame Dragons. Throughout our conversation, Taylor kept coming back to his good fortune to have found superb mentors who helped him from his teenage days to develop and maintain a passion for both the game and soccer coaching. Paying it forward, he is proud today of the 15 ex-players he coached who are now also college coaches themselves. His original connection to Laredo grew out of conversations Taylor had with Laredo Heat owner Shashi Viswani about FC Barcelona’s United States Academy in Arizona, where Taylor was affiliated. In 2016 Taylor began preliminary discussions with Vaswani about a potential role in Laredo but couldn’t complete the process until the Heat resumed play this year. Even then, Taylor would not have been able to take the reins at Laredo if it had not been for the large amount of accumulated vacation days he had on the books at Cal State-Stanislaus. Taylor has been able to develop a deep roster for Laredo Heat through his extensive contacts throughout United States colleges and other clubs all over the world. He has taken advantage of this network to build an experienced group with several international players. During the regular season this depth and experience has allowed Taylor to rotate the roster frequently to keep players fresh for both the playoffs and their upcoming college seasons. Successful summer league coaches feel a responsibility to return players to their colleges ready for preseason training, said Taylor. As a college coach himself, he has focused on balancing the need for game time and rest with the Heat. “It’s a fine line in manipulating the lineups to keep [players] sharp and then getting them the touches and the fitness.” The changing lineups didn’t get in the way of success. The Heat were able to navigate a compact regular season schedule, including two 1,000 + mile multi-day trips to the northern reaches of the Lone Star Conference, without a loss. On the defensive end, Taylor first credited the Heat’s overall ball-possession style of play as a key reason why the team has only conceded 4 goals in 10 regular season games. “We have a lot of the ball and are a hard team to play against. Not that we can’t be beaten, but we are really about circulating the ball, everybody getting touches and so we can beat you through our playing style.” He continued “We have team speed that can get behind you very quickly, we have great dribblers that can beat you off the dribble, plus we can circulate the ball and switch the point of attack.” He pointed specifically to a deep pool of five midfielders, he believes can play with anybody in the NPSL, as another key reason why the team is able to take pressure off the back line in the run of play. The style of play is a critical part of the defensive effort, but it doesn’t detract from the talent also present on the defensive side of the ball. Goalkeeper Brandon Barnes will be joining USL’s Richmond Kickers after the season ends and the other goalkeeper, Texas A&M International’s Carlos Herrera has chipped in with four shutouts this year. The Heat defenders are very technical, possess “quick-twitch” speed and hold the ball well under pressure according to Taylor. The combined playing style and technical efforts have produce a suffocating defense that the Heat hope will carry them far as the competition increases. Additionally, squad rotation takes a back seat when the win-or-go home nature of playoff soccer begins, according to Taylor. The Heat took advantage of an opening round bye, courtesy of their top-two Lone Star Conference finish, to play a friendly against LigaMX C.F. Monterrey’s U20 side on Saturday. A 1-0 loss (on a first-half penalty) was the result, but more importantly the Heat were able to get 20 players on the field and the game served as an excellent way to maintain match fitness against a top-quality opponent that was stacked with Mexico (and one U.S.) youth internationals. Mission accomplished and now the 2018 Lone Star Conference regular season champion Heat begin what they hope will be a deep playoff run against Ft. Worth Vaqueros in Laredo at 8:15 p.m. on Wednesday night. After the weekend’s NPSL results from around the country, the Heat will have home field advantage as long as they keep playing. Taylor is not looking ahead, though, because he has seen first-hand the quality in the Lone Star Conference. In fact, the Vaqueros traveled to Laredo last Tuesday and lost a tough, hard-fought 1-0 match to the Heat in the final week of the regular season, on an early second half goal from Joao Monteiro. “We have to just work on getting out of the next phase of the playoffs. We will have to get through Wednesday’s game before we can even think about Saturday’s game. It’s anybody’s game at this point in time.” Taylor commented. His caution is warranted. Last year, both Lone Star Conference top seeds, 2017 Regular Season Champion Ft. Worth Vaqueros and Houston Dutch Lions, lost opening round games. Regular season third place finishers Midland-Odessa Sockers FC then went on an improbable run to the NPSL Championship game. So, based on recent experience it is true….It is anybody’s game at this point.